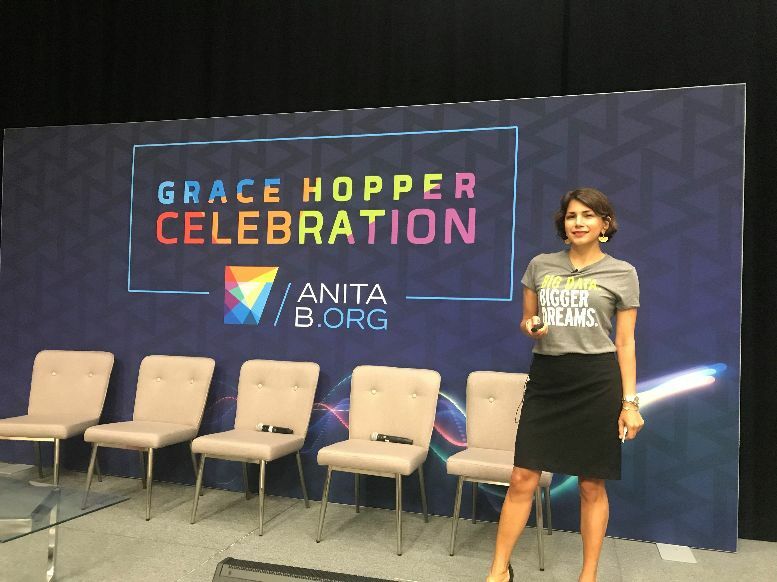 The Grace Hopper Celebration (GHC) produced by AnitaB.org last week brought together more than 20,000 women in tech. As Brenda Darden Wilkerson, President and CEO of AnitaB.org, observed during her opening keynote address, no venue other than GHC brings so many female technologists to one place at the same time. It was motivating to be surrounded by women with such diverse experiences and passions that come together to learn from each and hone their technical skillsets. One aspect that makes GHC such an inspiring event is the quality and passion of the speakers, many of whom truly are industry pioneers. This year featured Priscilla Chan, Co-founder of the Chan Zuckerberg Initiative, who brought the audience to tears speaking about how taking action can make dreams a reality; Poet of Code Joy Buolamwini, who shed light on algorithmic bias and how it can lead to discrimination; and Professor Anita Hill, who acknowledged that creating change can be challenging but none of us should give up. The conference is a wonderful place to experience the latest innovations from top companies, keep your skills up-to-date and expand your network. Featured programming ranges from promoting workplace diversity and effective management coaching to nontraditional paths into a tech career and the role humans play in the evolution of machine learning. I had the honor to be selected to speak about how companies can use Big Data for social good. I believe we are entering an era of data philanthropy. Banking provides just one example of how information gathering can be used to solve core societal challenges, including financial inclusion. Many of us in the technology space possess valuable technical skills we can put to use for social good. Citi had a prominent presence at the career fair, along with many other top companies and competitors. I look forward to welcoming new recruits we met at GCH to the firm at all career levels. Sending more than 100 Citi attendees to the conference affirms that we are empowering our women technologists not just recruiting them. I left GHC feeling inspired and motivated to be a woman in tech at Citi. Citi’s investment at GHC demonstrates our focus and commitment to diversity and advancing careers for women in technology. This is core to our firm’s values as it helps us fuel innovation while strengthening important networks and relationships. With the conference concluded, inspired attendees are keeping the celebratory spirit alive throughout the year by encouraging colleagues to have confidence, volunteer for new opportunities, and continuously learn. As I quickly shift back into work mode, I am feeling reenergized and eager to have meaningful conversations about driving change and encouraging more women to enter technology. 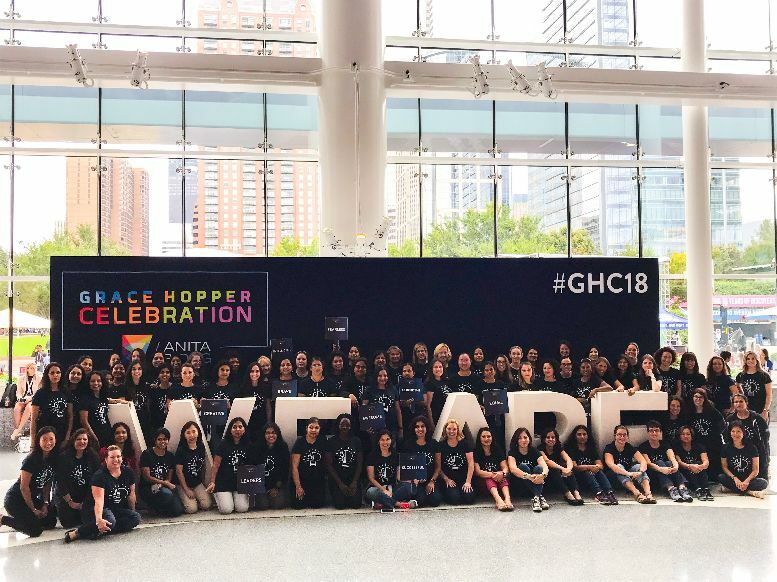 GHC served as a helpful reminder that we must work together to break down barriers for women in tech while continuing to celebrate how far we’ve come.